Belgian Formula Renault Eurocup ace Max Defourney joins the Douglas Motorsport team for this weekend’s BRDC British F3 Championship rounds at Spa Francorchamps. The 19-year-old will make his British F3 debut in his home country, and joins the series after proving himself as a junior single seater front-runner having won several races in Eurocup Formula Renault and the Formula Renault NEC series, finishing third in Eurocup in 2016 and second in NEC in the same year. 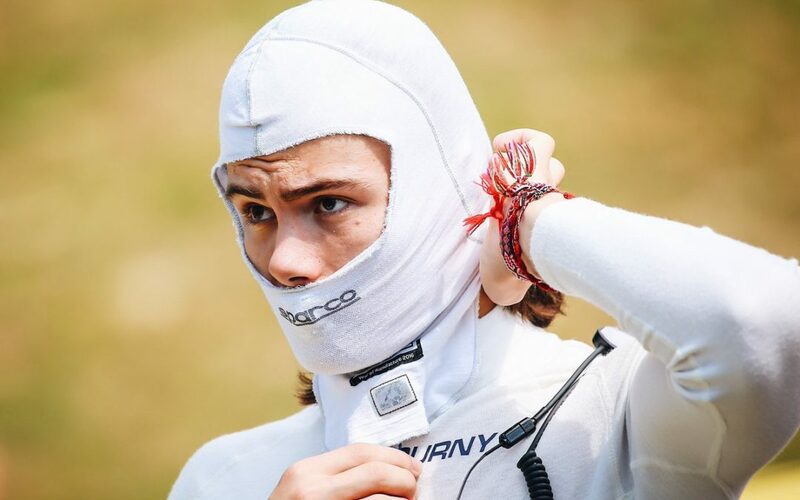 Defourny has also sampled FIA European F3 machinery having competed in the Nurburgring round in 2017, where he impressed by setting fastest lap in his first ever race, as well as scoring points. Starting his career at the age of eight, Defourny enjoyed considerable success in karting which included winning the 2010 Benelux Karting Championship in KF5 and finishing second in the Belgian Karting Championship in the same year. Further progress saw him claim second in the 2011 Trofeo Invernal Ayrton Senna in the KF3 category. He graduated to car racing in 2014 in French and Italian F4, before moving on to Formula Renault NEC in 2015, while also racing in selected events of the Alps and Eurocup categories. As well as his racing commitments, Defourny has also sampled more powerful single seaters including Formula V8 3.5 and GP3 cars in recent years. Team Principal Wayne Douglas: “We’re very pleased to welcome Max to the team for Spa Francorchamps. We’re looking forward to working with him and helping him to acclimatise to the F3 car. He is still very young but with his single seater experience, we believe he can deliver some excellent results at his home circuit this weekend. Our thanks to friends at MB Partners for their help in finalising this arrangement with Max for this weekend”.